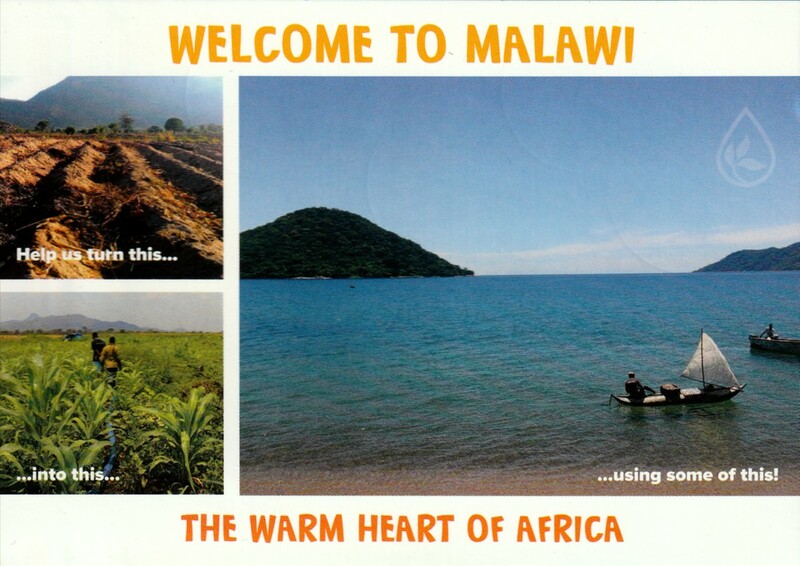 Tristan has sent this cover and postcard from Malawi, thank you very much! It was posted in Zomba on March 12 and arrived on March 21, 2018. 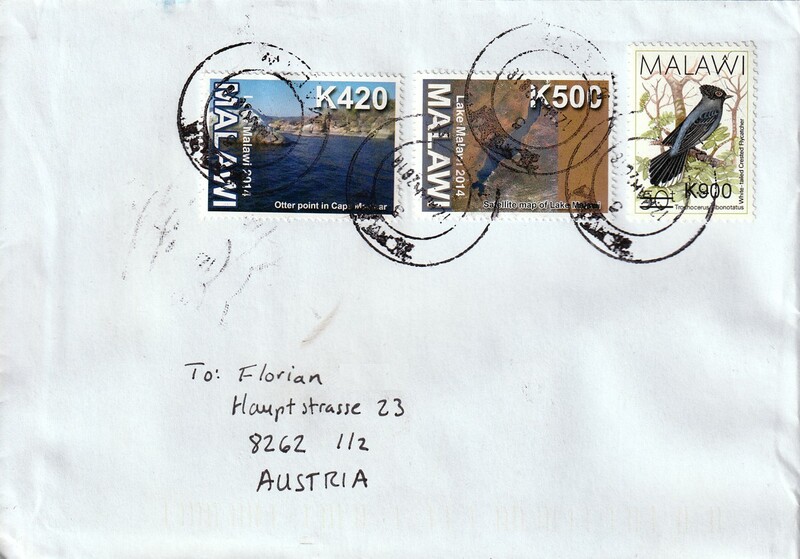 The two stamps on the left commemorate the Lake Malawi. They are part of a set, which was issued on April 25, 2014. The right stamp depicts the white-tailed crested flycatcher (Elminia albonotata).